When men take stock of their present situation they can come to but one conclusion: the methods of even the recent past no longer work. On all sides, but particularly in the financial and economic sector, there is continuous and growing chaos. ‘Experts’ are summoned to aid the floundering governments regain some control but to no avail; the old, tried methods refuse to obey the wills of their chancellors, however experienced they might be. What are they, the governments of the world, to do? What can they do? They can continue for a time manipulating the old structures, hoping that things will ‘settle down’, and the old patterns survive. This is, indeed, a forlorn hope. Generally speaking, the governments of most countries see their role as protectors and upholders of the ‘status quo’, that false idea that life is static and, therefore, all change is rebellion and undesirable. This attitude is true of most governments, whether of the ‘right’ or the ‘left’, capitalistic or socialistic. In either case they fail to recognize the yearnings of their peoples for change, for a new concept of living, one that ensures their ability to raise their families in peace, security and well-being. The failure of governments is precisely their failure to see that their true role is to look after the well-being of their people. Lost as they are in competition and the following of ‘market forces’, they have lost touch, for the most part, with the needs of those whom they claim to represent. The glamours of power and authority overcome, as often as not, their desire to serve. Divorced from the real needs of the people, they fall back on ideology and theory. Even so, they are not entirely to be blamed. They know nothing of the forces with which they try to contend. Ignorant as they are, they fall easy prey to the destructive forces of the past. The people, meanwhile, suffer and wait and pray, unaware, for the most part, that the help for which they pray is even now among them, ready and eager to aid their suffering and to ease their lot. The people know the true nature of their need but require a strong and fearless representative to give it voice. Already present, that representative, Maitreya, is working quietly to influence the direction which events will take. Soon, that voice will strike a stronger note, and many will be ready to respond. Thus the Plan works out its beneficent purpose to secure the future for all men. Q. How many interviews has Maitreya had to date on US television? Q. Are His interviews and the responses all going according to plan? Q. (1) Do many people by now believe, perhaps privately, that Maitreya may be a figure like Jesus or Buddha? (2) Do they tend to keep this idea to themselves? Q. Among those who have seen Him on television are there those who hope He is the Christ? Q. Could the results of the mid-term elections in the US slow down the process of Maitreya’s gradually growing appeal to the American people to think in terms of practical compassion? Q. Do you see electric cars as the answer to pollution caused by road traffic? A. Only in the short term. Q. 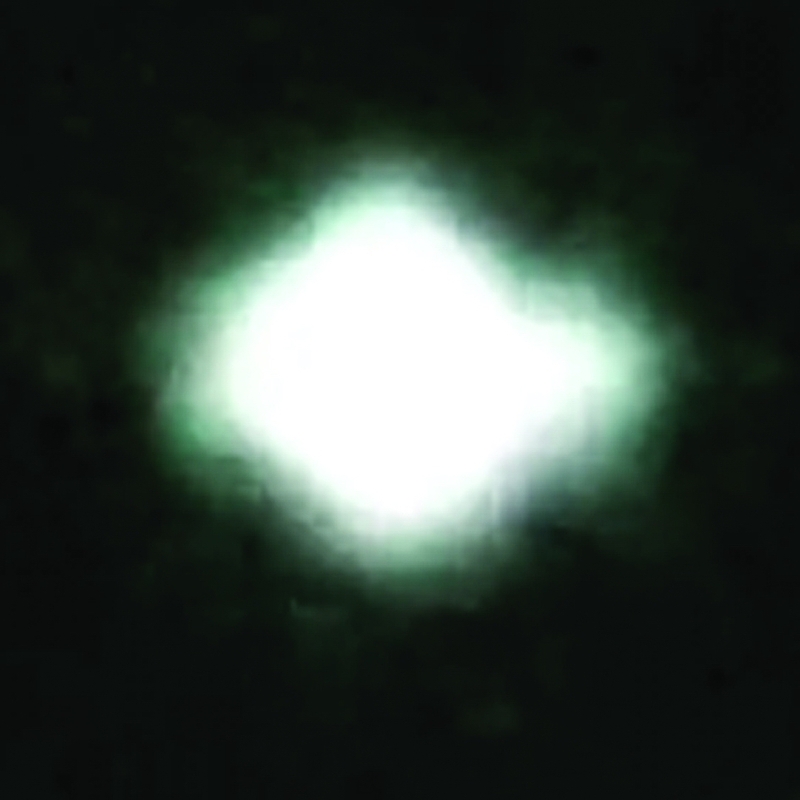 In the fall of 2008, before the month of December, I sighted the ‘star’ which was the one that pulsated and turned different colors but stayed in place without moving about. I was wondering as since this was before the appointed timeline that had been stated as the beginning of the sightings (December 2008), if this would have been indeed one of the ‘stars’ heralding Maitreya’s appearance. I was living in the city of St Charles, Missouri, USA. Thank you for your explanation and/or comments on this. A. What you saw in 2008 were spaceships of various sizes and on different missions. The ‘stars’ are also spaceships but on the specific mission of heralds of Maitreya’s emergence. Q. I have read a webnews report which says a scientist in Australia has captured pulse signals from Gliese 581g (a terrestrial [Earth-like] planet) for two years and that he presumes they are possibly being sent by intelligent life on the planet. (1) Is there intelligent life on the Gliese 581g and (2) are they sending signals to say hello to us? Q. Since I have learnt about the Space Brothers, when I see the planet Venus in the night sky, I sometimes pray to the Venusians. I say: “Thank you for helping us. Can you help us some more?” (1) Do they hear my prayer? (2) If so do they respond? Q. Should we simply trust that God will take care of our financial needs where group work is concerned? A. No. Groups have to raise their expenses. Q. Is there any truth in the phenomenon of ‘chemtrails’ – chemical or biological agents sprayed by governments or other agencies, for a purpose undisclosed to the general populace? (The purpose is usually sinister such as population control or weather control, etc). Or is this just another spurious conspiracy theory? A. Another spurious conspiracy theory born of American paranoia. Q. Do the negative effects of nuclear radiation, flowing out on etheric levels and unable to be measured by our existing science, also help to create global warming? A. Not to any noticeable degree. But for the constant efforts of the Space Brothers, they might well do. Q. I was wondering why, when you get questions from people wondering if they saw a Master, it is always Maitreya or Jesus. There are many other Masters that are here, why not one of them? I’m confused. A. Maitreya and the Master Jesus have taken on this special work of appearing (as a ‘familiar’) to many people connected with the groups working for the Reappearance, and also to many as yet ‘on the edge’ of being connected with this work. In this way They give encouragement and ‘proof’ of the reality of the information. Other Masters are not so engaged and have other specific work to do. In Japan, the Tokyo Master has often engaged in this ‘appearance’ work and from time to time my Master also takes part. Q. Former NASA consultant and author Richard C.Hoagland claims that orbital and surface photographs of the moon show evidence of ancient artificial structures and even of glass domes still standing. Is it possible that ruins of physical structures still exist on the moon? Q. Dear Mr Creme, are you infallible? If not, how do I know when you are right or wrong? Also, you say that our visitors from other planets only come from this solar system. Billy Meier, arguably the most famous contactee in modern times, with so much indisputable evidence, made contact with Pleiadians. How is this possible? Thank you for considering these questions and for all your good work. A. No, I am not infallible; not even the Masters claim infallibility. So, yes, I agree, you have a problem. Only the intuition, and the discriminating faculty that comes with long years of direct experience in association with a Master, allows one to publicly make the statements I do. In relation to Mr Meier’s work with the Space Brothers, I fully endorse the reality of the contacts but am convinced (and informed) that they are with people of our own Solar system. Perhaps Mr Meier thinks, in line with general ‘scientific’ misunderstanding, that that is impossible, so opts for the Pleiades. I do not know, nor do I greatly care. The contact itself is the important thing. “The reality is, what we think is life is completely different from what it is really like, and all of us have the option of opting for this or that aspect of reality. There are several realities: that which takes us forward, that which leaves us as we are, and that which leaves us behind. And we have this choice. It is nothing to do with answering questions – questions do not arise. It is divinity. It is how divine you want to be. How much of your divinity do you want to show, to express? Because there is nothing else. There is nothing else but this divinity to show! That is reality. You have it in your power. Everybody has it in their power to show what they are, the divinity they are. We are all part of that. Benjamin Creme, 22 July 2010, New York City, USA. One of my four sons committed suicide in October of 1989. Days after the non-denominational funeral, his youngest brother, then 14 years old, woke up in a very anxious state saying over and over we had done the funeral wrong. He kept insisting that he needed holy water, and I finally agreed to take him to a Catholic church where he could get the holy water he insisted upon. I knew that the Catholic church (in those days) was not very understanding nor compassionate of suicide, so I stayed in the car praying that my son would meet with a kind priest, which he did. The priest spent a long time with my son, filled his jar with holy water and suggested that he read certain psalms as the holy water was being poured over the grave. My son then insisted that we pick up his deceased brother’s girlfriend and that we go to the burial site. I stayed in the car while they went to the grave site. When they returned they were in a state of shock. My son explained he had poured the entire jar of holy water over the grave, and that the jar had immediately filled back up. He asked me what I thought it meant. I told him that his brother may be blessing him. Could your Master please comment on this unusual experience and perhaps the kind priest? M.H., Dallas, Texas, United States. In June 2010, after many years of hoping to see Benjamin Creme speak, I made the commitment to explore the story further. My journey to London gave me the opportunity to attend one of Mr Creme’s public talks on Euston Road and visit the crop circles of southern England. It was an amazing experience. Upon my return to Canada, I increased my meditation time (personal and Transmission Meditation) which stimulated a lot of aspirations. Then on 11 July 2010, about three weeks after my trip to England, I was meditating on my Benjamin Creme lithograph ‘Soul Infusion’, when suddenly a very clear thought came to me. I must give my stone Buddha some milk right now; that if I did, it would drink it. I had no feelings of doubt, and I just acted immediately on that thought. I put some rice milk in a bowl, went out to my backstep and brought a spoonful of milk to the Buddha’s lips. The milk slowly disappeared from the spoon, and the Buddha’s lips were dry when I pulled the spoon away. I was overwhelmed and shaking with excitement and awe. I really wanted to share my incredible experience, so I called a close friend who said he would come over to film this miraculous event. When he arrived, I tried repeatedly to get the Buddha to drink more, but the milk just dribbled down its chin. (1) Did Maitreya perform this miracle? (2) It happened only once and would not happen again. What does this mean? On 14 October 2010 I cycled to the Share Nederland Information Centre in Amsterdam. Joan Baez’s well-known song “Donna, Donna” came to my mind and I sang it softly to myself, cycling along. I like to sing in a high voice and I did so also this morning. Later on I entered the Information Centre, saw that there was a message on the answer machine and pushed the button to listen to it. To my surprise I heard someone singing that same song “Donna, Donna”, very softly and in a high voice. It made me very happy. Unfortunately I deleted the message without thinking. I would like to ask: Was it a coincidence or did Maitreya or the Master Jesus imitate me? In about 2003, my mother Helen broke her foot. The orthopaedist had just put on a cast from her knee down to her toes and I left her in her wheelchair in the lobby of the building while I got the car. This building is at the brow of a rather steep hill. As I was driving the car around to the door of the building, I saw that my mother had wheeled herself out of the building, lost control of her wheelchair and was beginning to barrel down the hill, her purple caste sticking straight out in front of her and her hands held over her head. All of a sudden, a woman grabbed her chair, stopped it and pulled her back to safety. I’ll never forget this. The woman wore a white ‘boyfriend’ shirt over black pants/leggings, black ballet slippers, a large brilliant blue turban on her head and the most beautiful lips, with absolutely perfect pink lipstick, I have ever seen, ‘Hollywood lips’, I think they are called. My mother later told me that the woman had been sitting in the lobby. We thought that maybe she was a cancer patient since they often wear turbans to cover hair loss. When I went to her, I took her hand and thanked her profusely. Her hand was so fragile. There was nothing to it. I wondered how she could have the strength to catch the wheelchair. After putting mother in the car, we made a turn and drove by the building. The woman was hopping up and down and blowing kisses to me in a very big, dramatic way. As I hung out the window and blew kisses back to her, I thought her manner was a signal. 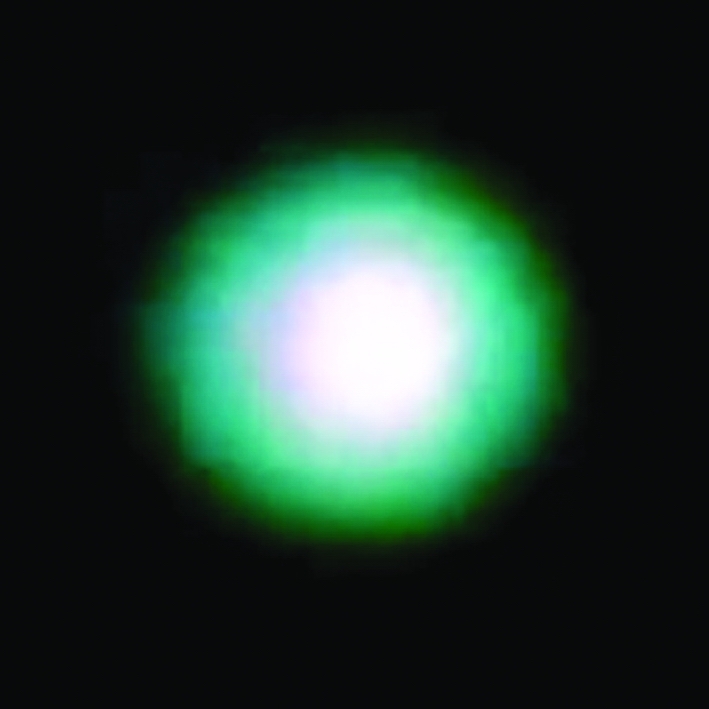 New York City – People in downtown Manhattan saw numerous shining orbs floating in the sky during the day on 13 October 2010. One witness said he saw about 50 small ‘stars’ in the sky beginning around 9:30 am, “doing the same thing, clustering together”. Another witness said she saw lights appearing and disappearing in the sky. Dozens of people gathered on the corner of 23rd Street and Eighth Avenue to watch a small silver orb hovering in the sky. “It’s been hovering there for a while,” said Joseph Torres, of Brooklyn. “I’m just kind of baffled. How can it be ordinary? There is something going on.” A video obtained by CBS News showed three glowing orbs moving rapidly in the sky in relation to one another, and another two hovering above them. 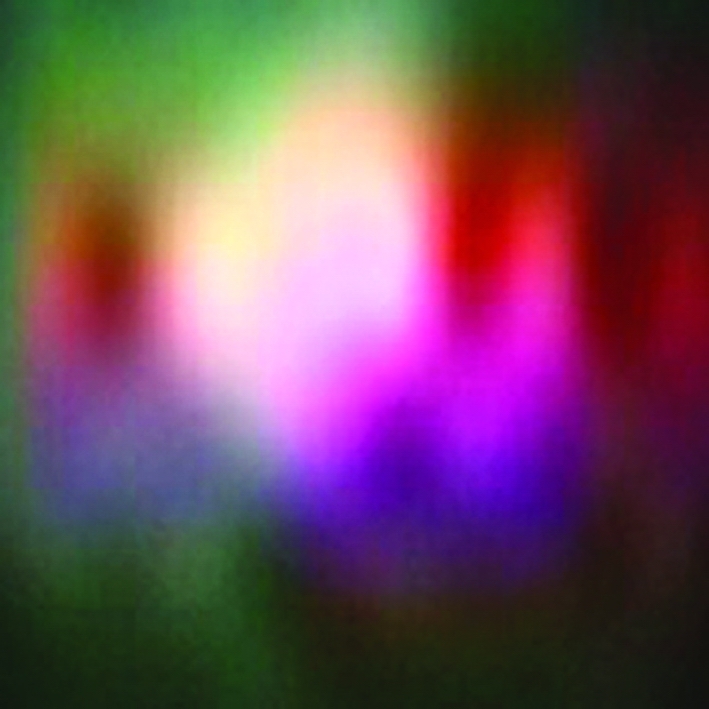 Kentucky/Ohio – In Newport, Kentucky, and in nearby Cincinnati, Ohio, witnesses videotaped several blinking lights that moved in the sky on 22 October 2010. The footage has been put up on YouTube. 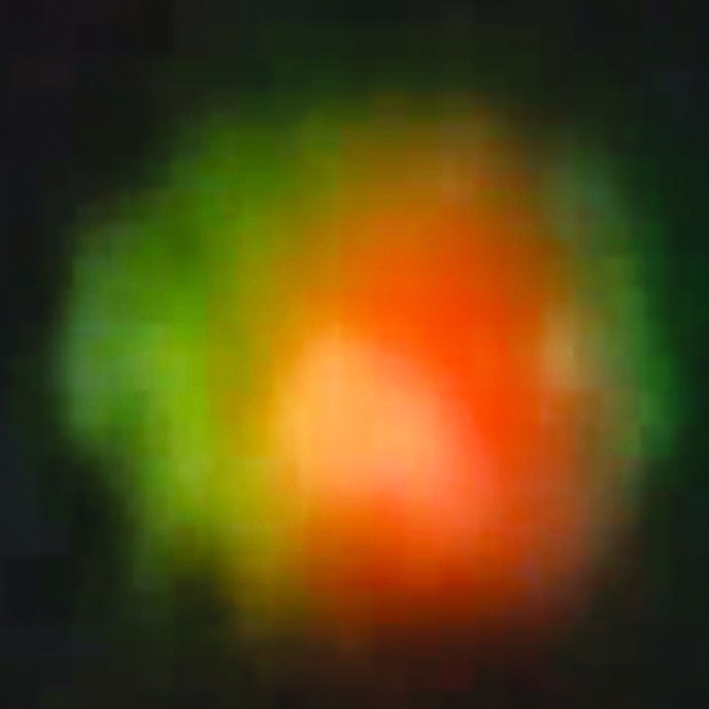 Photos from Houston Houston, Texas – Footage put up on YouTube shows a UFO with three rings which were filmed above Houston, Texas, on 4 October 2010. (Source: YouTube: 4x4JEEP100) (Benjamin Creme’s Master confirms that the UFO was a spaceship from Mars.). Under the title “Mysterious missile lights up the sky over the Pacific” CBS News reported on 8 November 2010 that a spectacular missile launch, which left a large condensation trail (‘contrail’), had been captured on film by one of its news helicopters. It had taken place over the Pacific Ocean, 35 miles west of Los Angeles, north of Catalina Island. When CBS reporter Marcella Lee investigated the story further she found that the launch had been a complete mystery to the Department of Defence. Pentagon spokesman, Colonel David Lapan said: “Nobody within the Department of Defence that we’ve reached out to has been able to explain what this contrail is, where it came from.” He also stated that it was implausible that a military exercise would have been conducted so near to Los Angeles. Normally, the launch of a US missile requires several different authorizations and notifications but it seems in this case none were evident. The reporter for CBS also spoke to former US Ambassador to NATO and former Deputy Secretary of Defence, Robert Ellsworth. He said he was just speculating but, after seeing the film of the missile, he thought it could be the test-firing of an Intercontinental Ballistic Missile, launched from an underwater submarine and that the US was probably displaying its military muscle to Asia, at a time when President Obama was on a visit to the region. Ambassador Ellsworth also said that in the past this kind of activity had taken place in the Atlantic to demonstrate America’s power to the Soviets, when it was the Soviet Union, but he did not believe it had ever been carried out over the Pacific. Others have doubted the missile hypothesis. 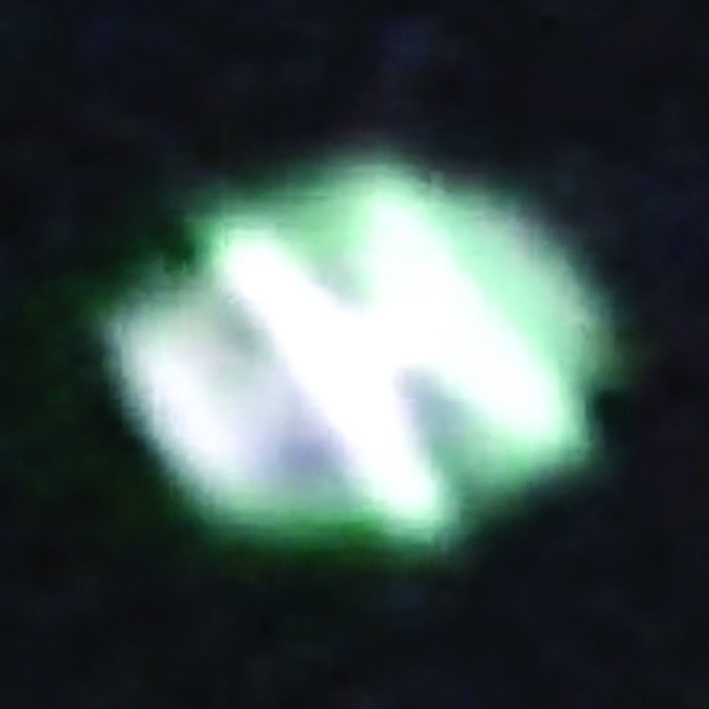 Physicist Michio Kaku of the City University of New York, speaking to CNN on 10 November 2010, said that analyzing the footage from CBS gave him the impression that it was an aeroplane. He said that the object leaving the trail was travelling at a constant velocity and deviating its direction, while rockets accelerated as they leave the ground and move in a straight line. It seems that despite the official response from the Department of Defence and the many other speculations from various experts, the mystery still remains unsolved. Very many sightings of Maitreya’s ‘star’ from all over the world are appearing regularly on the YouTube website. Unfortunately the images of the ‘star’ are not always large and clear enough to reproduce in Share International. We include a further selection which Benjamin Creme’s Master has confirmed to be sightings of the ‘star’. Germany – Maitreya’s ‘star’ filmed on 13 October 2010. (Source: YouTube: KlangTaktik). Samnanger, Norway – Maitreya’s ‘star’ in the eastern sky filmed within a few seconds of each other at 7.20am on 13 November 2010 by T.W., Norway. USA – Maitreya’s ‘star’ filmed in November 2010. 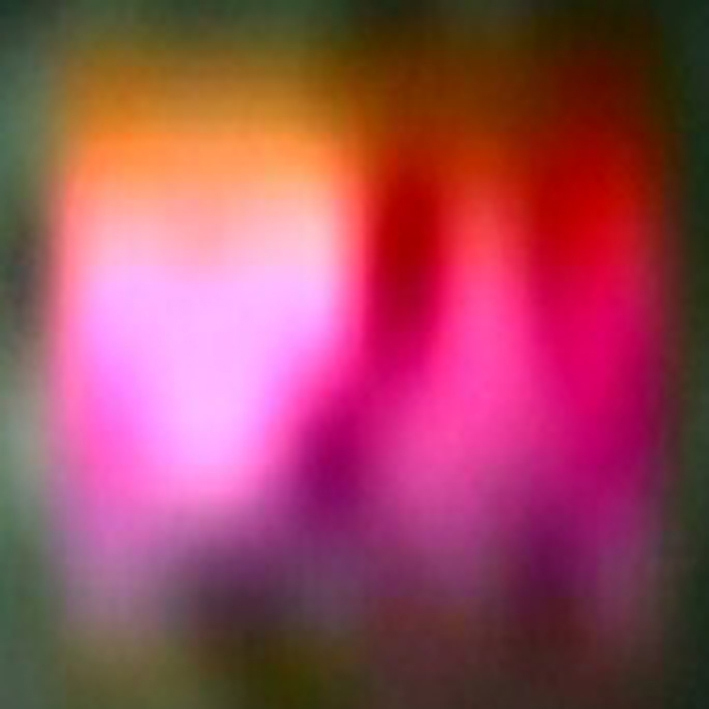 “Bright star changing shape and colour.” (Source: YouTube: gualluyo. Auckland, New Zealand – The ‘star’ filmed in September 2010. (Source: YouTube: TonalVibrations). We present a second selection of quotations on the theme of ‘Simplicity’ from Maitreya (Messages from Maitreya the Christ, and Maitreya’s Teachings – The Laws of Life), Benjamin Creme’s Master (A Master Speaks), and Benjamin Creme’s writings. 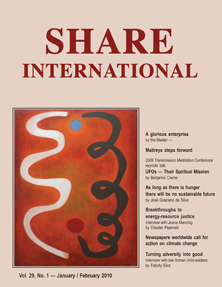 Part One appeared in the November issue of Share International. To aid men in their task, the Christ has formulated certain priorities which, when implemented, will establish balance and order, and so create the harmony on which well-being and peace depend. These priorities are simple and self-evident, yet nowhere do they exist to any great extent. Enumerated, they cover the essential needs of every man, woman and child: the first priority is an adequate supply of the right food. Secondly, adequate housing and shelter for all. Thirdly, healthcare and education as a universal right. Simplicity has a role to play because as the path of evolution is followed, you find that all creatures, first of all, want to do nothing but eat. Then as the organisms become more and more complex, so their needs become more complex. Then you get human beings, a massive 6.5 billion of us on planet Earth, living the most complicated lives, creating an infinite number of goods of all kinds, usable and unusable, useful and useless, which are filling the shops and the storehouses of the whole world. That is not to count the millions of tons of useless armaments which clutter and threaten the world. Just take a walk down one of the main avenues in Tokyo, for example, and go to the area where you can buy technology of all kinds; mobile phones, cameras, televisions or computers. You can buy millions of them. Every building is filled, absolutely, from the first floor to the 20th, with nothing but all kinds of communication gadgets. Will it get simpler? Is simplicity a part of it? I would say that simplicity is very much to do with the art of living. My experience is that as humanity grows and life becomes more and more filled with objects, with technologies, it becomes less and less simple, and it goes further away from what we are calling the art of living. We do not know how to live. It is not a good way to live, to fill storehouses with all those cell phones and computers. They should be distributed if useful, or not made if useless. It is commercialization gone mad. Transmission Meditation is simple and yet it performs a number of different very important facets of work. In the first place, it is an act of service. I know of no other means of service to the world of such potency, such value, such importance, and which is so clearly along the line of evolution of the Plan, which, at the same time, is so simple and easy. To become a saint is really quite difficult; to look after the starving, poverty-stricken millions in Calcutta is quite a task – as Mother Teresa knows. We are not all Mother Teresas. But all of us can give up a few hours a week to sit quietly, absorbing and transmitting the energy of Hierarchy. There will shortly come a time when humanity must reach a great decision. Troubled as it is on all sides by divisions and cleavage, a new approach must be found to the many problems which beset it. Without such a new approach, there is little doubt, an ominous future would await mankind. Historically, there is no precedent for the present situation and conditions on Earth. Never before have so many souls coexisted on the planet. Seldom, if ever, have the divisions between the groups been so painful and deep. Never has man controlled such forces of destruction as are now at his command, giving him power to destroy the life in every kingdom. When such destruction threatens, man must take stock and devise new ways to proceed. Of all the possible ways there yet remains but one untried. Throughout his history one simple answer has eluded man’s grasp. The principle of Sharing is the only one which will answer man’s needs and solve his many problems, for it is fundamental to the Plan of God Himself. Without sharing, man denies his divinity and stores up for himself all future woes. Without sharing, unholy chaos reigns and withholds from man the Justice which is his by right. Sharing alone provides the opportunity to establish God’s Plan of Brotherhood and to remove from the world for ever the sin of separation. How, lacking sharing, could man continue? How, without sharing, could he hope to survive? So great are the dangers in the present imbalance between the nations that luck alone would not suffice to see him through. A deadly sickness – separation and greed – prevails upon the Earth, and calls for drastic measures to effect a cure. A new simplicity will the Christ present to men, allowing them to share as brothers all. Co-operation will be the keynote of this simple life, the sharing of resources the order of the day. Thus will man’s divinity be expressed and thus will the Plan work out through men. In the wake of the recent spate of events showing an unprecedented willingness on the part of mainstream media and science to consider seriously the possibility of contacting extraterrestrial beings, UK space scientist David Whitehouse discusses its implications for the major religions. While assessing the possible stance of the different religions on intelligent extraterrestrial beings, Dr Whitehouse thinks “Islam will welcome them. The Koran actually mentions life from outer space, and some Muslims have said it is the height of conceit to suppose that God created the vastness of the universe just for us to enjoy when we will never see the vast majority of it”. In his description of the Buddhist and Hindu response to extraterrestrials, with their philosophy of oneness and unity, Dr Whitehouse goes so far as to say, “they will have no problem accepting them as part of a cosmic brotherhood of consciousness”. In his book Dark Mission: The Secret History of NASA Mr Hoagland asserts Apollo astronaut photographs available on NASA websites show prism or rainbow effects that he says can only be explained by the presence of huge glass towers and domes on the moon. *See Benjamin Creme’s answer in the Question and Answer section. The International Physicians for the Prevention of Nuclear War (IPPNW) is an alliance of national medical organizations in 62 countries, involving thousands of doctors, medical students, health workers and concerned citizens. Founded in 1980 and recipient of the 1985 Nobel Peace Prize, the IPPNW is the only international medical organization dedicated to preventing nuclear war and abolishing nuclear weapons. John Loretz is the Program Director of the IPPNW as well as the Executive Editor of the organization’s journal, Medicine and Global Survival. Jason Francis interviewed John Loretz for Share International. Share International: What inspired the formation of the International Physicians for the Prevention of Nuclear War (IPPNW)? John Loretz: The inspiration came from two cardiologists: an American named Bernard Lown and a Russian named Yevgeniy Chazov. They met at a cardiology conference in 1980, at the beginning of the Reagan administration and the ratcheting up of the Cold War between the US and the Soviet Union. They came to the conclusion that as doctors they had an obligation to the population of the world to prevent the biggest humanitarian catastrophe ever, which would have been a nuclear war between their two countries. They put together an organization of American and Soviet doctors and set out to lobby their governments to cool down the rhetoric and start making plans to get rid of the weapons rather than talking about using them against each other. SI: How does the IPPNW work to abolish nuclear weapons today? JL: We bring together two perspectives on the issue. One is the medical and environmental perspective, which is also a moral message. Based on everything we know about the medical effects of nuclear weapons, the effects of nuclear war on the environment, the radiation effects and the humanitarian catastrophe that would be caused, the conclusion that the physicians have come to is that there is nothing they could do in the aftermath of a nuclear war to offer any remediation to the situation. Once you reach that level of awareness, the political conclusion is that we have to get rid of nuclear weapons globally. The remedy that we propose is the abolishing of nuclear weapons through what we call a Nuclear Weapons Convention, a globally negotiated treaty that would eliminate nuclear weapons and prohibit them from being built, developed or tested in the future…. SI: Since nuclear energy reactors produce the material needed to make a nuclear weapon, is it imperative to abolish nuclear power? The IPPNW and most other abolition nongovernmental organizations take this position, but it’s a sticking point for most governments. The idea of nuclear energy and a nuclear energy renaissance has been sold to them by the industry, so they are not terribly open to the argument that you need to get rid of nuclear power at the same time you get rid of nuclear weapons. Our goal is to get rid of nuclear weapons and we will worry about nuclear power as an issue in its own right in another context. However it is my personal opinion that getting rid of the one requires getting rid of the other. SI: Although conventional arms do not have the potential to destroy the world, they do cause massive destruction and suffering. Could you discuss the IPPNW’s Aiming for Prevention campaign and its participation in the World Health Organization’s Violence Prevention Alliance and with the United Nations? JL: This part of IPPNW’s work goes back to the mid-1990s when we were a very active participant in the International Campaign to Ban Landmines [see Share International July/August 2007]. When the Mine Ban treaty was finally produced and came into effect at the end of the 1990s some of our affiliates, especially in Africa and South Asia, continued to do landmine research and work but it became less of a global campaign for the IPPNW. We looked around and asked: “Where do we go next?” The nuclear issue is the core issue for us but we came to the realization many years ago that nuclear weapons and nuclear war are at the extreme end of a continuum of armed violence that is causing massive suffering and harm now. We decided to look at the pandemic of illicit arms transfers around the world. In 2001 we started a campaign called Aiming For Prevention, which was our contribution to underlining the public health dimensions of the small arms and light weapons problem. Over the years this has evolved from strictly a program about small arms into something that looks more widely at the public health impact of armed violence in general. In 2003 we started working with IANSA (International Action Network on Small Arms), and developed with them the Public Health Network of IANSA as a way of bringing doctors and health researchers together to highlight the fact that this is not just an arms trade issue but that there are public health dimensions as well. For the last couple of years we have been working very closely with the Violence Prevention Alliance of the World Health Organization (WHO), not only to focus on the health-related problems of armed violence, but also to look at what’s called an ecological model for addressing these problems. That involves finding evidence- and clinical-based approaches to alleviating the problems of armed violence around the world. We have been doing some very new and exciting work in this area with WHO and others who share this interest. SI: What is the economic and social impact of building and maintaining weapons of mass destruction – nuclear, chemical and biological – as well as arsenals of conventional weapons? JL: The costs of maintaining these huge arsenals are enormous. The cost of US nuclear weapons and infrastructure since the beginning of the Nuclear Age has been at least $5 trillion, according to Stephen Schwartz [Atomic Audit, Brookings Institution Press]. I’m not aware of comparable studies of the overall costs of the other nuclear-weapon-state arsenals, but would imagine that it’s comparable for Russia/Soviet Union. According to SIPRI (Stockholm International Peace Research Institute), worldwide military spending was $1.464 trillion in 2008. The US share of that was $607 billion, or about 41.5 per cent. The World Bank has estimated that it would take $40–60 billion per year to meet all of the Millennium Development Goals by 2015. That is less than 3 per cent of what the world spends on weapons and war. Those opportunity costs have to be added onto the casualties, physical destruction, and direct economic impact of armed conflict. Programs for healthcare, sanitation, education, housing, economic development, environmental protection, all of these things go begging because the nations of the world say the money is not there. Yet the human race spends over a trillion dollars on weapons every year. The things that really could provide security for people around the world – health, education, environmental protection – are underfunded. That’s the real cost and the real tragedy of this addiction we have to war and military spending. JL: The IPPNW has had one very simple message from its earliest days: that we are living on borrowed time. We’ve never had a perfect world without some kind of dissension among peoples, but until we had nuclear weapons we never had the capacity to wipe out everything in a matter of hours. We worried about that a lot in the 1980s at the height of the Cold War. Although we don’t worry about it quite so much now the potential is still there, the weapons are still there, and we still have the capacity, whether by accident or deliberate act, to essentially destroy all life on this planet in a matter of hours by using these weapons. We think that the human race and nuclear weapons are incompatible with each other. For IPPNW it’s simply a question of who goes first: the nuclear weapons or us? We need to abolish these weapons as soon as we possibly can. Every day we don’t do it we are living on borrowed time. **Benjamin Creme’s Master has confirmed that the radiation seeping from nuclear reactors onto the etheric planes is responsible for many present day illnesses including the increased incidence of Alzheimer’s disease and autism, and is the biggest threat to human life on the planet. With 352 entries from 27 countries worldwide the first Cannes Corporate Media and TV Awards initiated and organized by Filmservice International was a big success. Alongside the famous festivals for feature and advertising films Cannes Corporate Media & TV Dolphin is the new award for corporate films, on-line media and TV productions. The first award ceremony took place in Cannes in October. Among its many categories in corporate and television films were environment and ecology, science and knowledge and history and civilization. One of the films, an Austrian entry, was a 16-minute documentary with the aim of “raising awareness for a true global agenda”. In Momentaufnahme or Snapshots, documentary-maker Michael Stoeger presents Maitreya’s priorities with a compelling sense of urgency. Snapshots, which features environmentalist and alternative Nobel Prize Laureate, Vandana Shiva, was presented with a Silver Dolphin prize in the category of “Environmental issues and concerns”, at the awards ceremony on 14 October 2010. This film may help change minds; are we prepared to continue to tolerate poverty, hunger, collapsing ecosystems, exploitation and dangerous financial speculation? Facts and figures often mask the reality of life for millions on this planet, but Snapshots shows the real people behind the statistics. It also challenges complacency and inspires fundamental debate, raising urgent questions about the survival of life on planet Earth. It leaves no doubt that things can change. “It is our choice – no one else’s”, as the film description says. The film makes excellent teaching and awareness-raising material for global citizens of any nation: decision-makers, schools, NGOs, international institutions, interested public and responsible individuals in all walks of life. The Austrian Ministry of Education has recently approved the film to be used in secondary schools throughout Austria. The film is available in eight languages (German, English, French, Spanish, Portuguese, Italian, Russian and Kiswahili) and further language versions are planned.